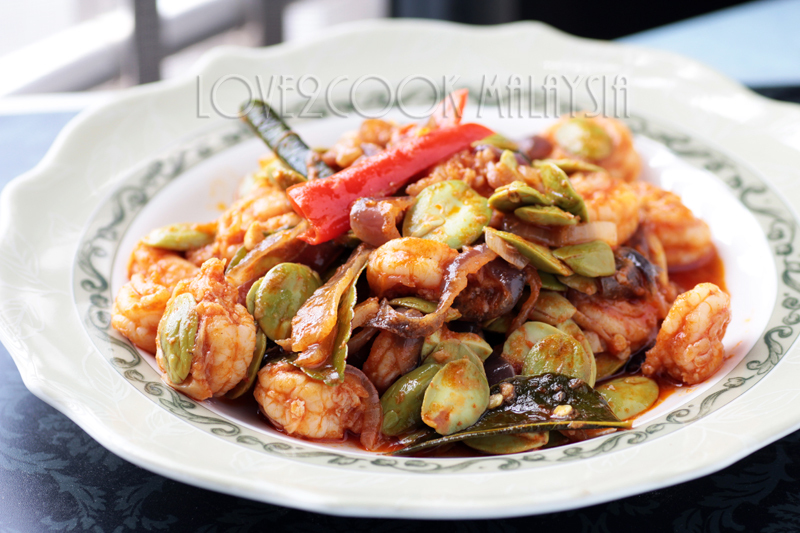 ♥ LOVE2COOK MALAYSIA♥: Thai Style Prawn & Petai (Bitter Beans)..
Thai Style Prawn & Petai (Bitter Beans)..
We used to have Thai Style Prawn & Petai at a Thai restaurant nearby our home and my Hubby just loves it! I wanted to imitate the dish by using selected ingredients. I'm aware they used a special sauce called Nam Prik Pao (Thai Chilli Paste) but I did not add that in my list. Check out how I made this dish and received very good reviews from both my Hubby and son. It's quick and simple, trust me! We had it together with plain rice, Kailan Oyster Sauce and Tom Yum Fried Chicken (will post the recipe). Mix some salt to the cleaned prawns. Fry them in heated oil for 2 minutes and set aside on a paper towel. Reduce the oil in pan, enough for stir frying. Saute pounded ginger & garlic until fragrant. Add onion rings and red chilli. Stir for a minute. Add dried chilli paste, keep stirring for few minutes until the raw smell leaves. Add tom yum paste, fish sauce and kaffir lime leaves. Mix, add water and tamarind paste, allow to boil. super tempting and inviting......awesome pics!! I really shouldnt be drooling over such delicious food at midnight, makes me hungry!!! Sri, the photos look awesome...aiyo. 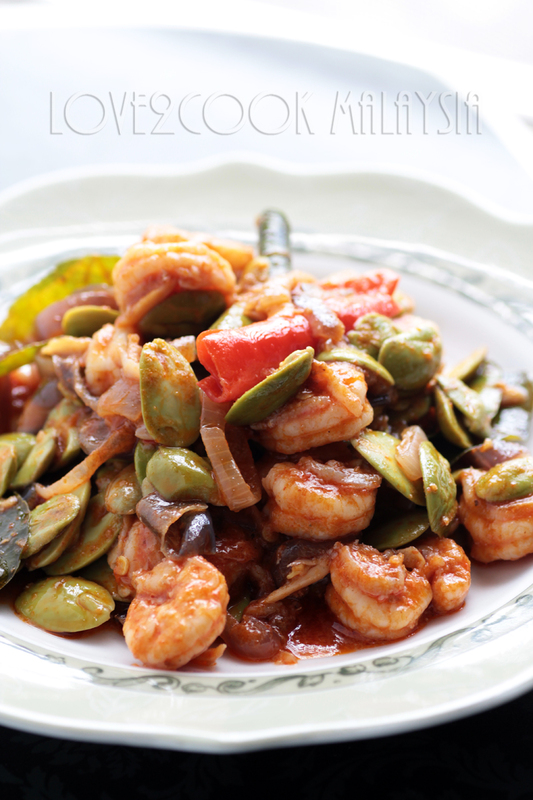 Now i will be thinking petai prawns for the next few days until i eat it! Wowwww, cant take my eyes from ur clicks Sis, mouthwatering here. Can you teach us how to cook paprik as well?? 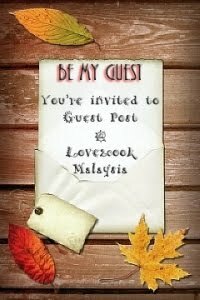 Hi Satya, I've shared Chicken Paprik before but it's in Malay. Hi Love, school holiday already over, how you doin'? I presume you must be busy with your 2 children. Have a lovely day ahead, take care my dear! Hi Anon, dried chilli paste is made of red dried chillies. The chillies are soaked in hot boiled water for 5 minutes and ground smooth using a grinder with little amount of water. 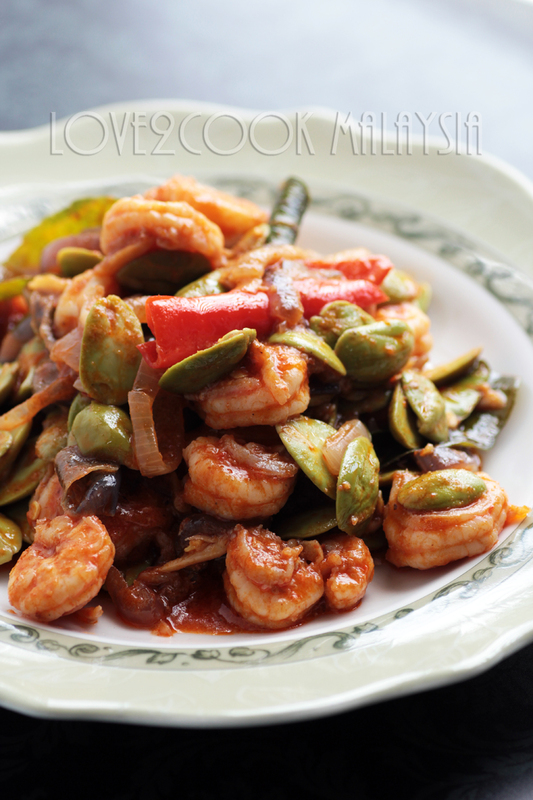 Prawn, petai and chillies - nice combo! I would love this dish and I will require extra rice, please! Sedapnya..... bitter beans tu walaupun ada bau tapi I suka... sebab banyak khasiat..boleh cuci perut ooo! hi sist, how are you? Wow, am drooling already! More rice please, and tomyam fried chicken? Sounds good to me! Hi Love... Wah!! Nmpk sgt sedap !!!.. Akak terliur tgk tau.. 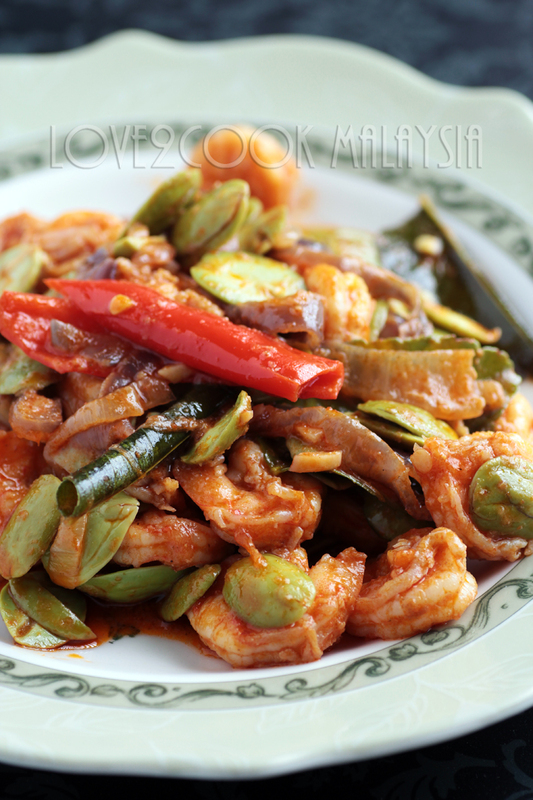 This will be a nice variation to the usual prawns and petai in sambal sauce I have most of the time. Looks good. hi lovely love..nampak mcm ada depan i ja this sambal petai..close up yg menarik!